The Dan Edward Muirhead in Jackson, Mississippi provides the following products. To learn more about each insurance product, click on the links below. Many terms associated with auto insurance can be confusing. For example, what does "comprehensive car insurance" mean? You will get answers to questions and much more when talking about your insurance needs with Dan Edward Muirhead. We work with Nationwide to bring you excellent service and coverage in Jackson. Give Dan Edward Muirhead or another experienced agent a call today at (601) 354-1301. Drivers can discuss options over the phone or in person at 1066 Whitworth St.. Figuring out your home insurance needs does not have to be a stressful process. Eliminate confusion and guesswork by turning to our seasoned insurance professionals at Dan Edward Muirhead in Jackson. We offer a wide array of Nationwide home insurance products that are designed to offer maximum protection. Speak with Dan Edward Muirhead to get an idea of your own unique insurance needs and how they can best be met through a Nationwide policy. Some major concerns people have when looking at home insurance include potential coverage gaps, insufficient insurance, and exclusions. We want you to have the peace of mind that comes with knowing that you are fully covered, so we will work with you to create a policy that meets your needs. Call us at (601) 354-1301 or visit Dan Edward Muirhead on 1066 Whitworth St. for a detailed consultation on which home insurance is best for you. Our goal is to offer every homeowner the best protection for their unique situation. For this reason, we offer many safety incentives. Find out how you can save on your policy by adding safety features to your home or improving its conditions. These can include upgraded alarm systems, window guards, elimination of potential hazards, and more. Ask our professionals at Dan Edward Muirhead about a comprehensive list of ways to save on your home insurance while improving your home. We are committed to helping you enjoy your home, so we take care of the stress and worrying. Let us know how we can help. We at Dan Edward Muirhead are here to help newlyweds in the Jackson area. We will answer all your life insurance questions and explain in easy language term versus permanent insurance. After speaking with us, you will have a complete understanding of both whole life insurance and universal life insurance and you will know which options are best for you. Call us at (601) 354-1301 and ask for Dan Edward Muirhead. If you are in the neighborhood, we welcome you and your spouse to stop by our office at 1066 Whitworth St.,Jackson,MS,39202. It may be the most important date of your life. Even if you're opening a new business and money is tight, having some type of business insurance is crucial. 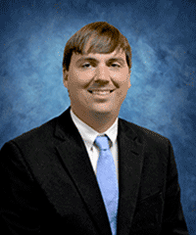 Dan Edward Muirhead in Jackson offers a variety of protective solutions such as property insurance, general liability, and commercial auto. While a basic plan may cover you for awhile, we will review your business needs on a regular basis and make recommendations as you expand and add on employees. Some supplemental options that you may be interested in as your company grows include workers compensation, cyber liability, business income coverage in case of an interruption, accounts receivable, equipment breakdown, and protection against theft, forgery, and fraud. We pride ourselves in offering customizable policies to fit every business's needs, which is why we will ask you a number of different questions. Dan Edward Muirhead will discuss the location of your business, how you operate your company, if you have any employees, the stability of your business, and what you expect for future revenues. Depending on your particular situation, you may also be asked about contractual agreements, specific employee information, prior loss details, and building details. Our goal is to make sure you are properly protected against loss without adding a financial strain to your bottom line. Insurance lingo can be a bit confusing, so we will always go over your policy and make sure that you understand what everything means and exactly what is covered if you need to file a claim. You can make an appointment in our office, which is located at 1066 Whitworth St., or you can speak with us over the phone at (601) 354-1301.